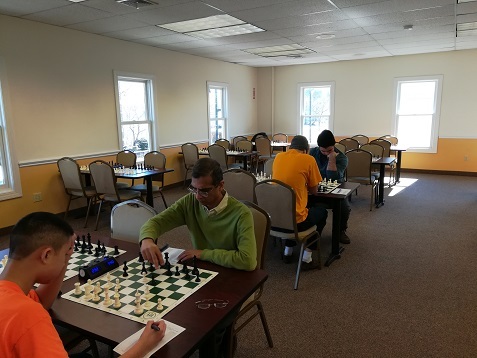 This week’s Sunday Quads hosted ten players. Forecasts of early evening snow weren’t enough to keep these determined competitors away. NM Oliver Chernin swept the first quad, winning all of games and placing first. There was a four-way tie in the second six-person section. 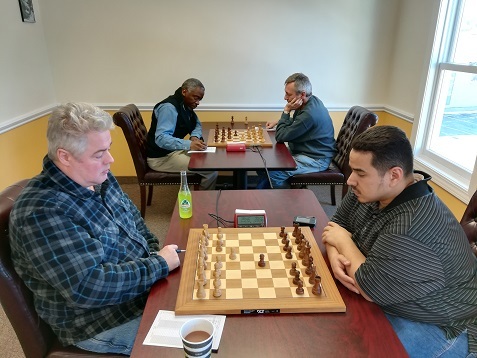 Julian Wang, Craig Moffitt, Evan Helman, and Mahammatt Baba shared the glory, each winning two games. Thanks to everyone who showed up. We hope to see you again soon!